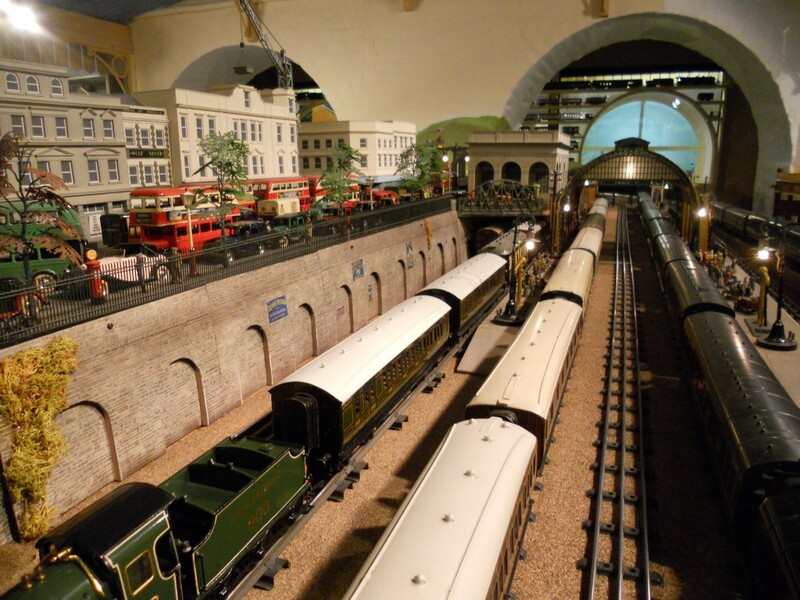 I have walked down Trafalgar Street from Brighton Station on countless occasions without stopping to have a look inside the Brighton Toy & Model Museum. But a new wall mural depicting the iconic Brighton Belle made me make up my mind to find out more. The first Belle to greet visitors inside the museum is in fact Belle the dog (real, not a toy). I was shown around by volunteer Eric Baird and met Chris Littledale along the way. Chris founded the museum in 1990 and there are now somewhere in the region of 10,000 exhibits (and that is not counting all of the pieces of Meccano separately). I was looking out more for local history connections than toys and models generally but there were many overlaps. One such example is a delightful model of ‘Pioneer’ (nicknamed ‘Daddy Longlegs’), the long-legged passenger car of the Brighton & Rottingdean Seashore Electric Railway. Although there is no Brighton connection whatsoever, I particularly loved a Dan Dare spaceship dating from around 1953 and a number of sizeable mechanical boats with huge keys for winding them up. The museum occupies four arches directly below the hard-standing in front of Brighton Station. Behind, a hidden cavity provides storage space but, most interestingly, gives access to the lowest section of the front wall of the station itself. A fascinating network of mysterious tunnels exists beneath the station and the location of the toy museum just adds to the intrigue. 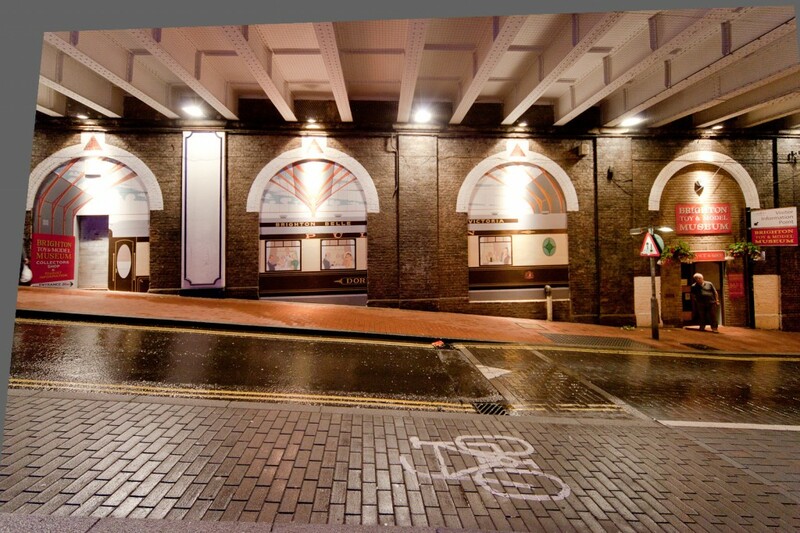 The arches themselves are thought to have once served as a beer store and the Bass Red Triangle, the first registered trademark in the UK, may clearly be seen from the pavement. The museum is dominated by two large model train sets; an intricate 0 gauge set in the centre and a less complicated set at the back using the smaller 00 gauge. Each is marvellous but I was more taken with the 00 set due to intricate models (‘approximations’ says Chris) of the Balcombe Viaduct, Clayton Tunnel north portico and Hastings cable car cliff lift. train – and it is set to grace the tracks once again in 2012.